Well a few weeks ago I figured out that the rear stock bumper will hold water very well. At first I thought it would hold 10 gallons, but looks like it is more like 7. Still more than the AEV Bumper! Anyways, i wanted to use that water as running water to hose off my jeep and me after mudding, hose down my scuba gear after diving, washing hands, ext. So Here is how I did it! First, you need to seal your bumper. On a stock bumper there is 4 drain holes on the bottom to seal. For now, i just plugged them with stainless bolts. Then you need to drill a couple holes onto the top, I put one on the drivers side to fill the tank with a cap. The other side I hid between the fender and bumper, this is the pickup line, and is great here since you can not see it at all! I use a pvc pipe since it is rigid and sealed it well. After this, I designed my outlet for the water to come out. I am going to be putting in a air compressor in the near future, so I went ahead and designed a panel that would handle both. I used a normal hose spickett so you can have multiple hook up uses. I have some cnc equipment, so I designed a nice panel and gasket to keep a good seal. Now, came the part that made me a little nervous, I needed to cut into the side of my jeep to hide all of the lines, but yet make it look cool and unique. So Here is where I cut the side of my jeep. Is is nice, because there is a lot of room behind here not being used and allows you to run your hoses outside the jeep and underneith it without drilling any more holes. You can run the hose up and over and it will drop behind your fender under the jeep. see pics. I know I know, how could I do this! But, its no different then when you need to cut your hood for a PS Hood louver! (which I am getting from UPS today!) After cutting, make sure you paint any exposed metal to reduce rust in the future! I then installed my panel with its gasket, and it came out very nice! The pump I used is a shurflo pump used on RVs. Mine gets about 3.2 gallons per minute at 55 PSI. What is nifty about these little pumps is that they automatically turn off when the pressure reaches 45 PSI. So what that means is you don't need an extra on/off switch for your water. Whenever you open the nozzle/spicket, the water comes out, reducing pressure slightly, the pump sees this and turns on. Then when you close it it sees the pressure build up, and turns off! cool trick! It also self primes itself and can run dry without damage (will turn it self off automatically after dry for a few) I mounted the pump underneath the jeep above and to the side of the rear diff. There was a lot of extra space up there and it wont be hit. The lines hooked up to it and ran power straight to the battery. You will need to get different fittings ext depending on the way you set yours up, but this is a general idea and gives you the idea to go out and do it! Check out both videos, it shows it all installed and working with a hose and the other shows it all setup before it was installed! What a awesome idea I am going to link this in our sticky area. Would you happen to have the Shurflo model number for the pump or a good link to it? Ryan - A good eye, a light foot, and a smart rig. Huh, beats the 2 gallon pump sprayer I carry to spray off the windows. Dude that is sooooo cool. I wouldn't cut by sheet metal up but love the idea! 1981 CJ-7 Long gone but missed. Wow, that is truly some great ingenuity. I think I may actually do this mod, and you might have just given people a reason to not be so hasty with tossing their rear bumper. Great work! Pretty cool man!!!! What about rust?? I doubt rust would be an issue. So long as any bolts you use are stainless and the bumper is well sealed, I see no issues. As for drinking the water, if you are taking this on an overlanding trip, where you MIGHT be in a situation where you may need to drink it, simply carry a few water purification tablets in your rig and you're golden. Or stash a small bottle of bleach in the Jeep. A few drops of bleach will sanitize water. That said, I imagine myself using this for washing down the jeep after beach wheeling to get the salt off key areas. That, and de-sanding my kids feet. I know this is off topic but did you make that top in the back that covers your cargo area? If you did could you share what you covered it with or where you bought it? Thanks! This is wild love it. Not sure I would do it to mine but you never know. Great idea. I ever stop being amazed at what resourceful Jeepers can come up with. This is awesome. Do not perform any mod for looks alone, mod for function. I promise you if you plan your mods to improve function, you will have a Jeep that "looks" the way you want. The water thing is one of the selling points of the AEV bumper. This is an EXCELLENT find. For those of us with on board air, turning the bumper into a water carrier can probably be done for less than $35. I have a rear stock bumper for sale if anyone is interested!! Great idea! What the damn cost of a rear bumber replacement from Jeep suddenly quadruple! 1. Cut and hinge (or not) a portion or the whole of the bumper for storage and/or insert a water bladder to store potable water (probably need one custome made to utilize the full space). 2. Just use it as a resevoir and plumb it to the hood where there are a few heat exchangers/pump/shower currently available -- nice camping hot water system plus avoiding cutting out the metal on the side there. 2. there's a mythical copper coil heat exchanger wrap that goes around the exhaust pipe as well, to heat up water, just apply it right there since the exhaust runs along and below it. His setup uses a 12V pump. 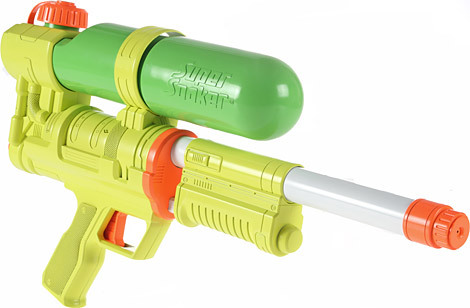 For those of us that have onboard air compressors, we can achieve the same thing by pressurizing the bumper with the compressor (with air) to achieve the same thing....much like those super soaker waterguns we had back in the day. It sells at northern tool for $100. I like the idea, I am fabricating my own bumpers so I will be working this into it! This is an interesting and ingenious idea. Nice work! Did you plumb an airline to help keep tank pressure at the ambient level? Some way to adjust for increasing pressure as you climb to higher altitudes? Awesome idea! I'll be finishing up with my install by this weekend. I had an older model version of the shurflow pump laying around in my garage so I mounted it and wired it up today, now I just need to plumb the tank (Bumper) and find an alternative way to mount a spigot (Not too keen on slicing up the sheet metal). Thanks "EdsJunk"! Oh and a side note to any moderator reading, the title of this thread in the "write up and how to" sticky is just a link. It should be changed so people will know where to find this cool mod! I'm looking forward to seeing you install. You better post pics and video on here!